I was heading north last week and my route took me through Hugo, Oklahoma also known as Circus City, USA. It’s the winter headquarters for Kelly-Miller and Carson and Barnes circuses. I knew the Mt. 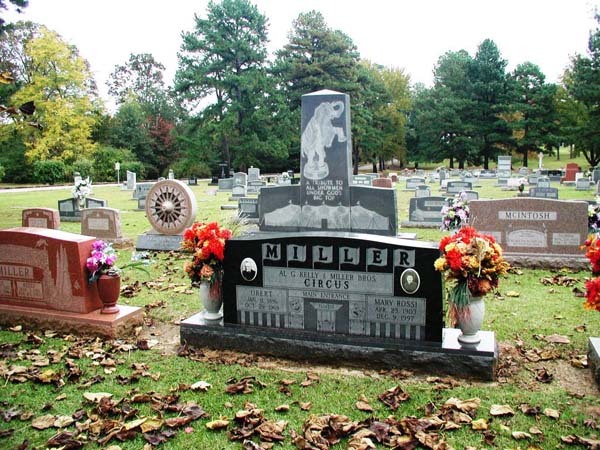 Olivet Cemetery was located in Hugo and had a section devoted to showmen…The Showmen’s Rest. I got off the inter-state and headed into town. 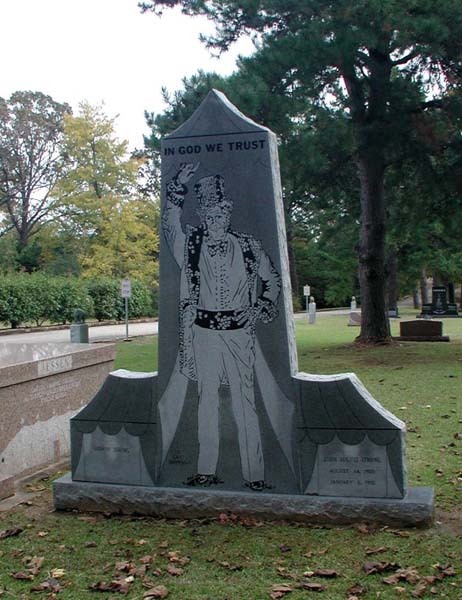 After making a couple inquires, I easily located 8th street and headed to the cemetery. It was a cool fall day perfect for exploring the cemetery. “Tall grass Showman”. You can’t miss it as it’s about nine feet tall. 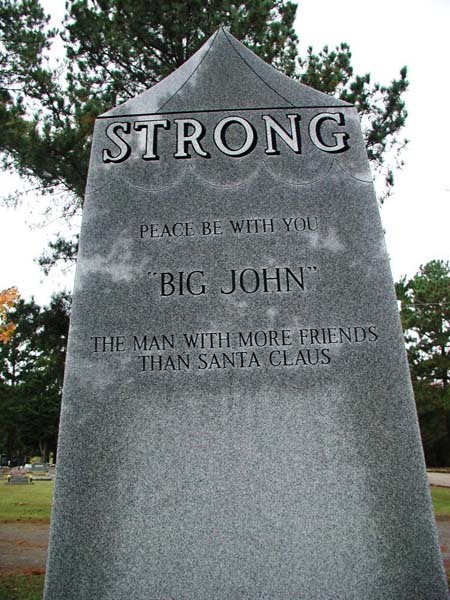 On the back of the stone it says…”The man with more friends than Santa Claus”. I took a few photos as I walked around the grounds. The Miller’s have a large section. 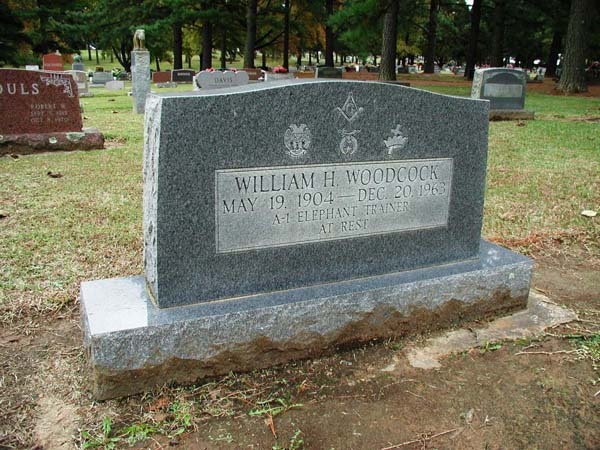 I also saw William Woodcock, the elephant trainer‘s, stone. 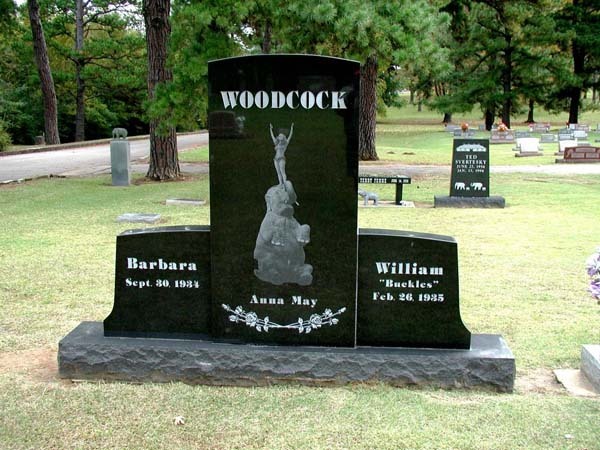 His son Buckles already has his and his wife Barbara’s stone in place for when they need it. 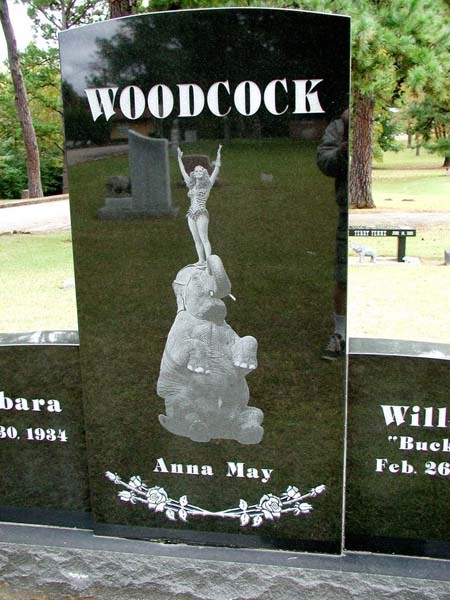 They have their famous elephant Anna May pictured on the front of the black monument. One stone was inscribed…”Nothings left but empty popcorn sacks and wagon tracks…the circus is gone”.